murano glass artistic table lamp, pure transparent with gold by multiforme. artistic glass chandelier, 9 lights. white lampshades. murano table lamp, crystal color body and golden details. 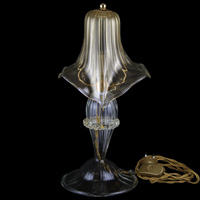 5 lights standing lamp in opal blown glass body, rose and gold ornamental elements. 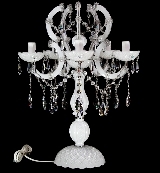 5 lights artistic glass chandelier, crystal color with white details. 12 lights rezzonico chandelier in artistic crystal color glass. 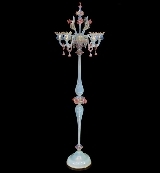 5 light murano glass chandelier, crystal and aquamarine details. 8 light artistic clear glass ceiling lamp. 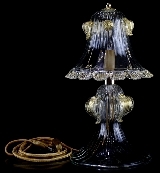 maria theresa table lamp white venetian glass and asfour pendants, 5 lights. 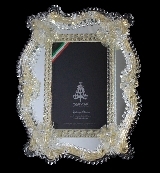 Handmade italian chandeliers factory: service and custom products for interior designers, contracts, home decorators, antique dealers. Double tier crystal Murano glass chandelier with organza lampshades. Floor lamp with chrome plated structure and crystal cut glass chains.